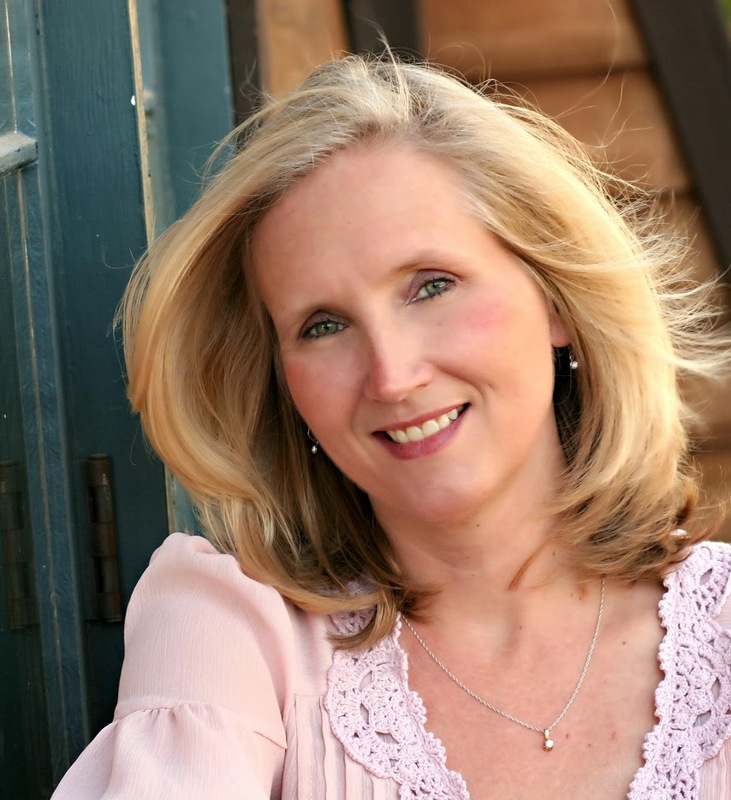 Susan Meissner is the multi-published author of fifteen books, including The Shape of Mercy, named one of the 100 Best Novels in 2008 by Publishers Weekly and the ECPA’s Fiction Book of the Year. She is also a speaker and writing workshop leader with a background in community journalism. She and her husband make their home in Southern California. 1. Susan, tell us where the idea for A Fall of Marigolds came from. I’ve long been a history junkie, especially with regard to historical events that involve ordinary people facing extraordinary circumstances. A couple years ago I viewed a documentary by author and filmmaker Lorie Conway called Forgotten Ellis Island; a hauntingly poignant exposé on the section of Ellis Island no one really has heard much about; its hospital. The two man-made islands that make up the hospital buildings haven’t been used in decades and are falling into ruins, a sad predicament the documentary aptly addresses. The documentary’s images of the rooms where the sick of a hundred nations waited to be made well stayed with me. I knew there were a thousand stories pressed into those walls of immigrants who were just a stone’s throw from a new life in America. They were so close they could almost taste it. But unless they could be cured of whatever disease they’d arrived with, they would never set foot on her shores. Ellis Island hospital was the ultimate in-between place – it lay between what was and what could be. A great place to set a story. 2. What is the story about, in a nutshell? The book is about two women who never meet as they are separated by a century. One woman, Taryn, is a 9/11 widow and single mother who is about to mark the tenth anniversary of her husband’s passing. The other is a nurse, Clara, who witnessed the tragic death of the man she loved in the Triangle Shirtwaist Fire in Manhattan in 1911.In her sorrow, Clara imposes on herself an exile of sorts; she takes a post at the hospital on Ellis Island so that she can hover in an in-between place while she wrestles with her grief. She meets an immigrant who wears the scarf of the wife he lost crossing the Atlantic, a scarf patterned in marigolds. The scarf becomes emblematic of the beauty and risk inherent in loving people, and it eventually finds it way to Taryn one hundred years later on the morning a plane crashes into the North Tower of the World Trade Center. The story is about the resiliency of love, and the notion that the weight of the world is made more bearable because of it, even though it exposes us to the risk of loss. 3. Why a scarf of marigolds? What is their significance? 4. What led you to dovetail the Triangle Shirtwaist Fire of 1911 with 9/11? When I first began pulling at story threads, my first instinct was to tell a story about an immigrant struggling to remain hopeful as an unwilling patient at Ellis Island hospital. But the more I toyed with whose story this was, the more I saw instead a young nurse, posting herself to a place where every disease known and unknown showed up. It was a place like no other; a waiting place – a place where the dozens of languages spoken added to the unnatural homelessness of it. Why was she here? Why did she choose this post? Why did she refuse to get on the ferry on Saturday nights to reconnect with the real world? What kind of person would send herself to Ellis not just to work, but to live? Someone who needed a place to hover suspended. I knew something catastrophic had to happen to her to make her run to Ellis for cover. As I began researching possible scenarios, I came across the Triangle Shirtwaist Fire, which up until 9/11 was arguably the worst urban disaster to befall Manhattan. There were similarities between that fire and 9/11, including the tragic fact that many trapped workers jumped to their deaths rather than perish in the flames. For every person lost in disasters such as these, there is always his or her individual story, and the stories of those who loved them. I wanted to imagine two of those stories. 5. One important plot element is the moral dilemma Clara faces when she discovers something about the dead immigrant’s wife that he does not know. What led you to include this story thread? A good story has to have tension; there has to be some kind of force tightening the screws, forcing the characters to react and respond. The main character of any novel wants something and the tension increases whenever what she wants eludes her. Clara is desperate to keep love golden, perfect in her mind, and without sharp edges. This moral dilemma I impose on her forces her to truly ponder what she thinks she wants. Is love really at its grandest when there are no sharp edges to it all? I don’t think so. I think to love at its fullest means we might get hurt. Probably will. But that doesn’t mean it’s not worth sharing, giving, and having. I include a line in the book that sums it up for me. “Love was both the softest edge and the sharpest edge of what made life real.” I think if we’re honest with ourselves we don’t want to settle for love being just as safe as “like.” Clara wrestles with what to do with her knowledge because she doesn’t want the beauty of love to somehow be tarnished; even it’s tarnished by truth. 6. Your last few novels have had historical components interwoven within a contemporary story. Why do you prefer that kind of story construction? I think living in Europe for five years awakened my love for history. It’s like it was always there but my time spent overseas just woke it up. When I think back to the subjects I did well in and that came easy to me in high school and college, it was always English and history, never math or science. I appreciate the artistry of math and the complexity of science, but neither subject comes easy to me. History has the word “story” in it. That’s what it is. It’s the story of everyone and everything. How could I not love it? Study history and you learn very quickly what we value as people; what we love, what we fear, what we hate, what we are willing die for. History shows us where we’ve been and usually has lessons for us to help us chart where we’re going. 7. Are you working on anything new at the moment? My next book is set entirely in England, mostly during The London Blitz. My main character starts out as a young, aspiring bridal gown designer evacuated to the countryside with her seven-year-old sister in the summer of 1940. Though only fifteen, Emmy is on the eve of being made an apprentice to a renowned costumer and she resents her single mother’s decision to send her away. She sneaks back to London – with her sister in tow – several months later but the two become separated when the Luftwaffe begins its terrible and deadly attack on the East End on the first night of the Blitz. War has a way of separating from us what we most value, and often shows how little we realized that value. I have always found the evacuation of London’s children to the countryside – some for the entire duration of the war – utterly compelling. How hard it must have been for those parents and their children. I went on a research trip to the U.K. in the fall of 2013 and I spoke with many individuals who were children during the war; some were separated from their parents, some were bombed out of their homes, some slept night after night in underground Tube stations, some watched in fascination as children from the city came to their towns and villages to live with them. This book explores issues of loss and longing, but also the bonds of sisters, and always, the power of love. 8. Where can readers connect with you? You can find me at www.susanmeissner.com and on Facebook at my Author page, Susan .Meissner, and on Twitter at SusanMeissner. I blog at susanmeissner.com. I also send out a newsletter via email four times a year. You can sign up for it on my website. I love connecting with readers! You are the reason I write. 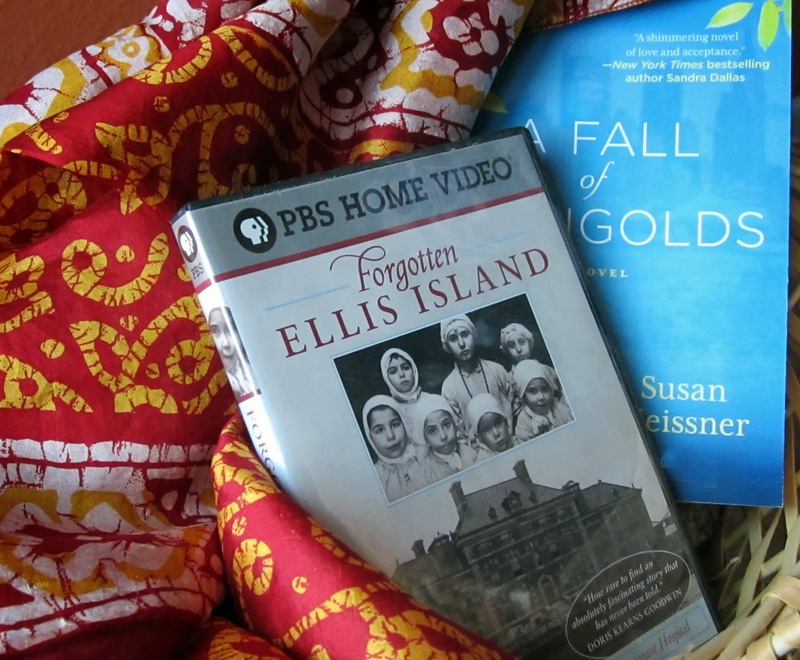 Susan is giving to one lucky winner a gift basket that includes a $100 Visa gift card, a copy of the book, the DVD Forgotten Ellis Island, and a beautiful re-purposed infinity scarf patterned in marigolds and made from a vintage Indian sari. To be eligible, just leave a comment here between today and midnight Eastern on Friday, February 28. If you would like to see a list of the other participating blogs on this tour, just click here. Feel free to visit those blogs and increase your chances of winning by posting one comment on those blogs as well. One comment per blog will be eligible. Additionally, there will be one winner of a signed copy of A Fall of Marigolds from among those who comment on this blog. Just leave a comment by Friday, Feb. 28 and you’re in the running for the grand prize as well as a signed copy of the book. Good luck! What an intriguing idea to cross 9/11 with the tragedy of the Triangle Shirtwaist Fire. It was a book on the Shirtwaist Fire that caught my daughter's attention and made her a reader. I watched the emotions it brought out in her. It was the first book we truly sat and talked about. I am looking forward to reading this book and learning more about Ellis Island. I also liked your answer about marigolds. I had not thought of them in the manner in which you described them but will never look at them the same. Thank you for the opportunity. Is it too late to enter? Your post says ends Feb 21. I enjoyed reading about the marigold, I now have a better appreciation for them. Also, believe it or not, I had never seen the word "story" in history before. I love that. Thank you for this interesting interview. The older I get, the more my family history interests me, especially the generation that immigrated to the U.S. My grandma has passed on the family stories to me--snippets and scraps of setting and characters and now and then a hint of plot--and I would love to preserve them for future generations. Your books sounds exactly like something I'd enjoy; I added it to my to-read list. Thank you for sharing with us, Susan. Your book sounds fascinating. I'm adding it to my list! Win or not, this is a novel I want to read--right up my reading alley. I will spread the word. Thanks for sharing this lovely book with us. I am definitely adding this to my "to read" list. Thank you so much for sharing! One of the things I also love about marigolds (not mentioned here) is that they are edible! So unique in so many ways, just like women. The book looks wonderful--I can't wait to read it! Oooh, enter me please. I've wanted to read this book since I first heard it was coming out. I love a story that engages me, which Susan's always do, but her books also make me think, delve deep, ponder my own heart. Priceless talent. Thank you for hosting Susan here & sharing her thoughts. The book sounds like just my cup of tea! Win or lose, I'll be reading it. Sounds fabulous, I can't wait to read it. Thanks for having me here, Bonnie. And no, it's not too late for the gift basket! We had planned an original stop date of Feb 21 but we had to add more blog stops for the tour and that upped our deadline to Feb. 28. I am always in search of new authors and am SO happy that I have another to add to my list!!! As a nurse, one widowed when young (and then fortunate enough to remarry! 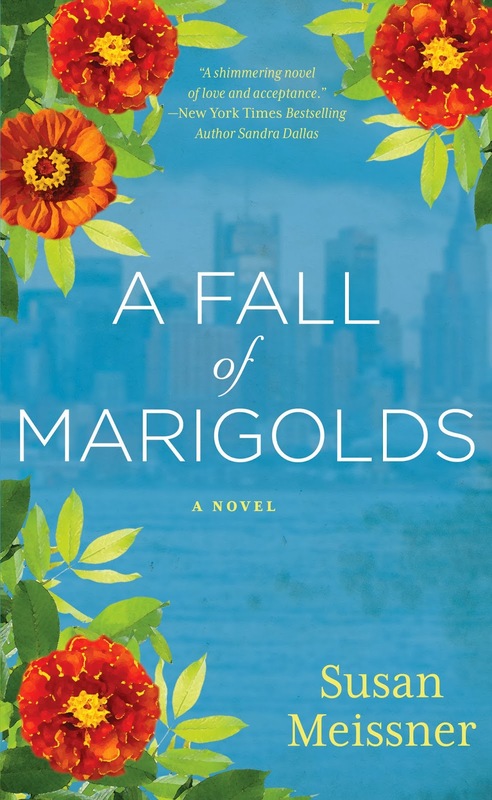 ), I am looking forward to reading A Fall of Marigolds. And, tho I agree the scent of marigolds might not make it a desired flower for a wedding bouquet, I personally think they are beautiful! Fixed the date issue. My bad! Sorry. Glad to have you here with us, Susan! Folks, it's a lovely book, rich and full. Don't miss out on a chance to read the book--and a chance to win the very cool gift basket! Susan, what a great interview! It's an honor to have you here on Novel Matters. Thank you. Susan, I'm a long-time fan of your writing. Thank you for sharing your story with us on Novel Matters. I too will be reading a Fall of Marigolds. It sounds so intriguing. Would love to read Susan's newest book. Thanks for the chance to win! Loved the interview. I can't wait to read this book. It has all the elements of a great read. Looking forward to it. Thanks for the opportunity. Thanks for sharing really enjoyed it!! Love reading Susan Meissner's books whether I win, buy or borrow them. This is wonderful, love hearing about the "behind the scenes" of a book. And the cover is just beautiful, love the colors. Historical fiction is my favorite. This one is definately going on my list to read. Novel Matters readers, you might want to watch your local PBS station tonight (Tuesday). A documentary on the Triangle Shirtwaist Fire will air. It's very well done. This story has intrigued me. Thanks for a great interview, Susan. I'm inspired. Looking forward to reading A Fall of Marigolds.